Work environments that support caring and compassionate communication with patients provide foundations on which high quality, patient centred care can flourish. Nothing tests communication skills so much as breaking bad news. Emotions are often running high for both patient and doctor. Compassionate behavioural skills—using the right words expressed in the right way—can help minimise patient distress and offer reassurance to accompanying relatives. It is, however, common for younger medical graduates to find it difficult to initiate respectful and compassionate dialogue with their patients while working in a crowded outpatient department. Many struggle to provide optimum care in such a stressful working environment. Some of these new doctors report that they didn’t have the opportunity as students to develop professional communication skills in real life scenarios. They have not been exposed to local communities for supervised learning of the doctor-patient relationship, and they struggle to develop compassionate relationships with unknown patients in a limited time period. Coursework on taking case histories and classroom teaching of communication skills remain incomplete until medical students are exposed to interactions with real patients. Well designed training in behavioural science builds confidence and self respect and often includes content to develop students’ humanity. However, some medical school curricula still hinder the effective progression of this teaching into routine care. Integrative teaching models that allow students to gradually introduce this training into their practice offer a greater potential for improving critical-reflective learning in real life situations. 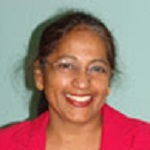 Tanu Pramanik is associate professor of the All American Institute of Medical Sciences in St Elizabeth, Jamaica. Competing interests: TP has been teaching behavioral science at different USMLE based medical schools since 2006. The outreach community health screening program was organized by the All American Institute of Medical Sciences in Jamaica on 17th March 2017.